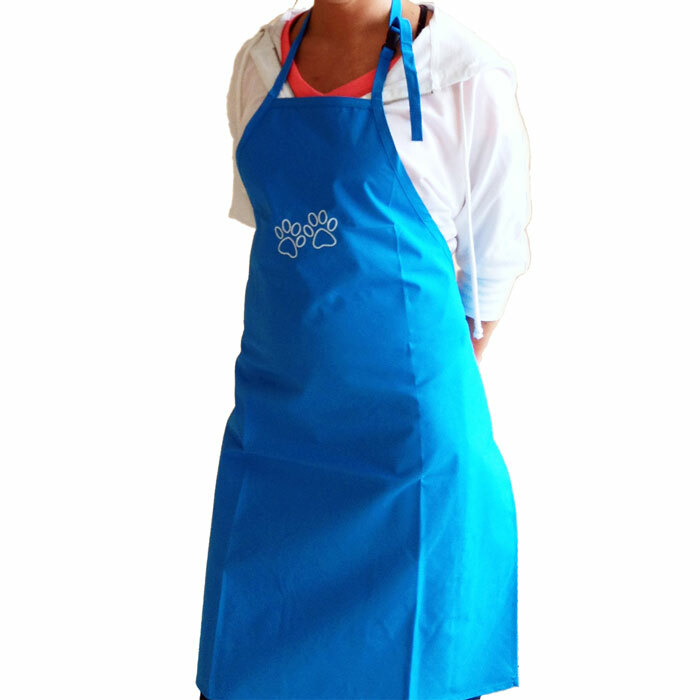 Lightweight, waterproof aprons. Available in 3 colors: Black, Pink & Blue. Pawprint embroidery in various colors.